Peter Fisk leads a range of development programs, fusing his in-depth expertise on the best and next practices in strategy, innovation and marketing with the challenges of leadership, change and performance. He does this in a wide range of intensive workshops and longer in-depth programs – delivered in partnership with IE Business School (Europe’s #1 ranked business school, based in Madrid), or highly-customised Genius Workshops delivered for you and your team, in your own workplace or locally. Genius workshops are for business leaders and innovators … fast and facilitated, stretching and practical … They are typically driven by your business issues, and bring together the very best techniques, plus new ideas and insights from the world’s most innovative companies right now, in order to solve real problems together and better, then deliver them practically and faster. They are focused on the smart, modern executive leader who wants to “learn and do” – a hybrid of education and consulting, a facilitated content-rich, expert-guided process … to deliver better, faster results. They can be customised for your business, and delivered locally in your business or nearby. “Every business needs to grow – to respond to change, to serve its customers, to invest in its future – but it’s about growing in the right places, and in the right way” says Sergey Brin. Strategy is about purpose, direction and choices. Growth is the platform to create a future strategy – how to grow profitably and sustainably – by seizing the best opportunities of a changing world. The problem is, most companies develop strategy based on extrapolating their past success – trying to squeeze a little more out of the same old model. Yet we all know that what made us great, is unlikely to make us great in future. How do we reach new markets? To Asia or South America? How do we extend to adjacent markets? New products, or services? The “future back” strategy development approach jumps to the new context, then uses horizon planning to define and prioritise the roadmap to get there. To develop a 3-5 year strategic roadmap to deliver and accelerate growth. Future proofed … most strategies are developed based on today’s markets, or worse an extrapolation of previous success. 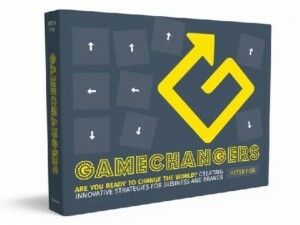 Instead we explore the change drivers and emerging scenarios, to work practically from the “future back”. Developed together … most strategies are developed remotely, based on analytics and process, based on financial numbers and then turned into supporting words. Instead we work together, using hypothesis and data, to engage in strategic view and shared commitment. Practical and agile … most strategies are stuck in a document, difficult to communicate and implement. Instead our outputs are a strategy framework and most practically, a roadmap for action, focused on inputs, activities and outputs each year. 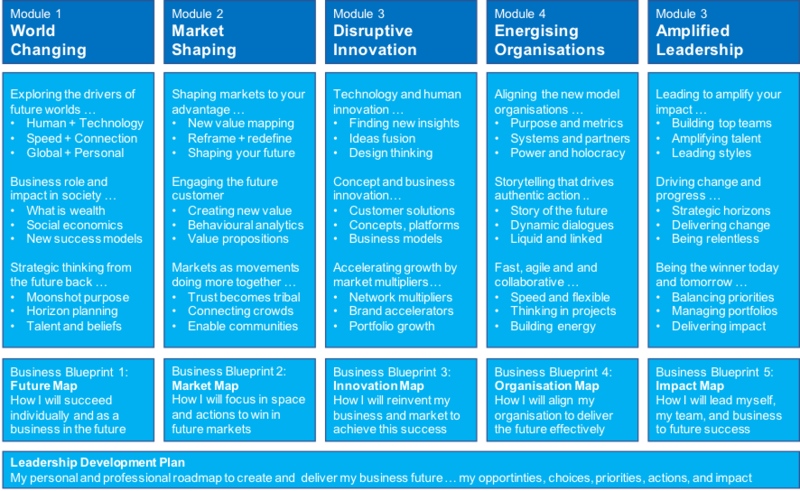 New business models are the most effective way to transform organisations, to innovate the whole way in which the business works. Inspired by a new generation of businesses – Airbnb to Uber, Dollar Shave Club to Netflix – we see dramatically new business models in every market, through collaborative platforms, data analytics and personal recommendations, or subscription-based payments. 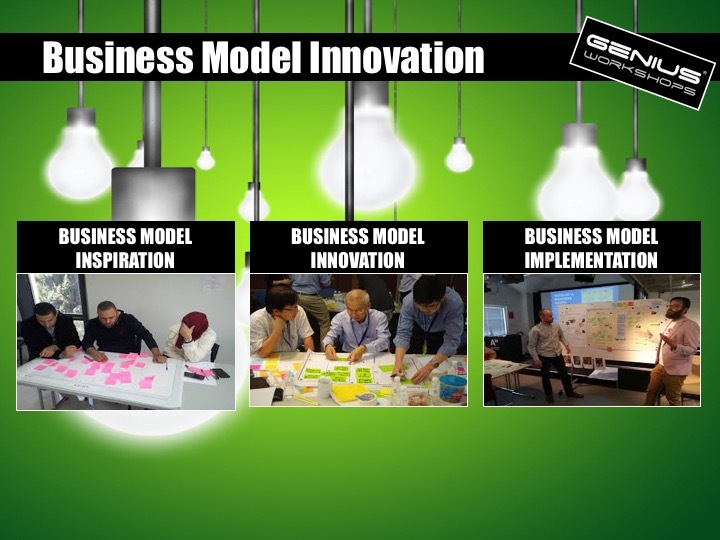 We explore at least 64 different business model templates which could transform your business. 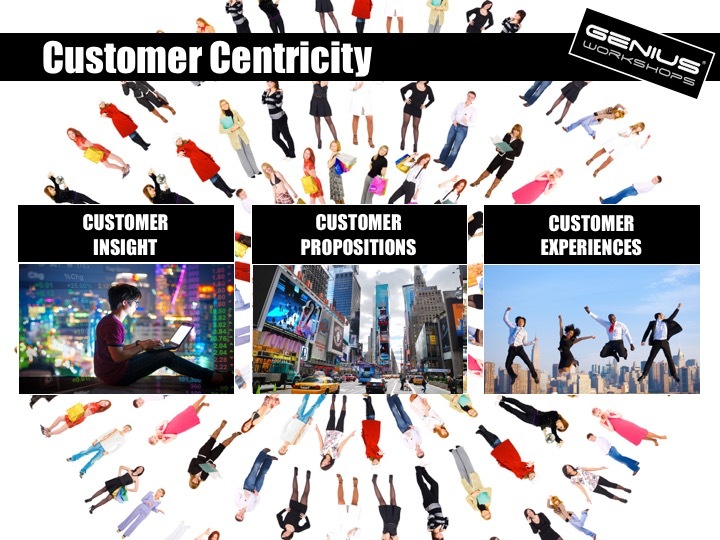 We start with the customer, to explore emergent needs and behaviours, shaping better propositions and solutions, then exploring how to deliver them commercially, and as engaging customer experiences. 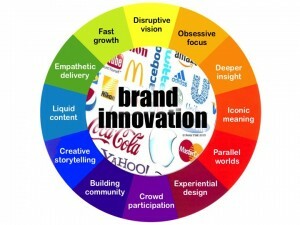 Business innovation … most innovation focuses on products and technology which are quickly imitated and commoditised. Instead we develop a holistic business approach to innovation, that is integrated and can be about innovative business models, channels, processes, and more. Customer driven … innovation is driven by deep insight, not just about what customers believe they need, but how they describe their frustrations and aspirations, typically more human and qualitataive. Design thinking turns these deep insights practical innovations. Integrated … most innovation is unable to connect the practical needs of business, with the “new” entrepreneurial approaches that are fashionable but also useful. 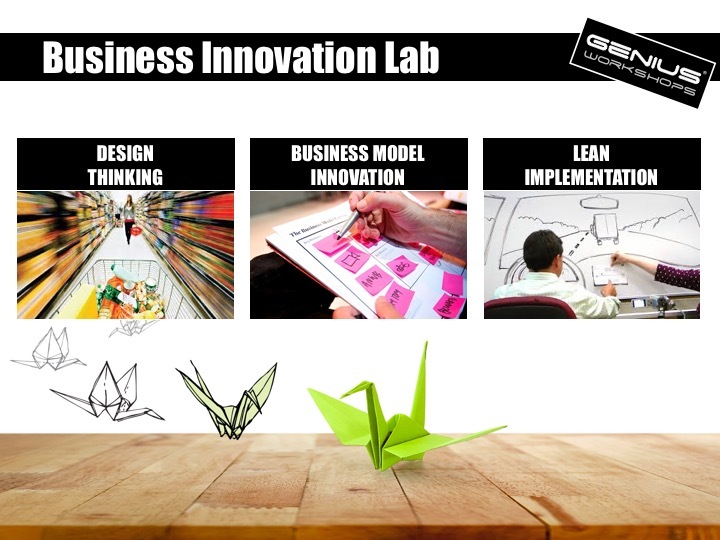 We connect and apply the best of design thinking, business model generation and lean implementation. “This is the age of disruption … which is not simply about disruptive technologies, but dramatically changing how people think and behave” says Sebastian Thrun, founder of Udacity. 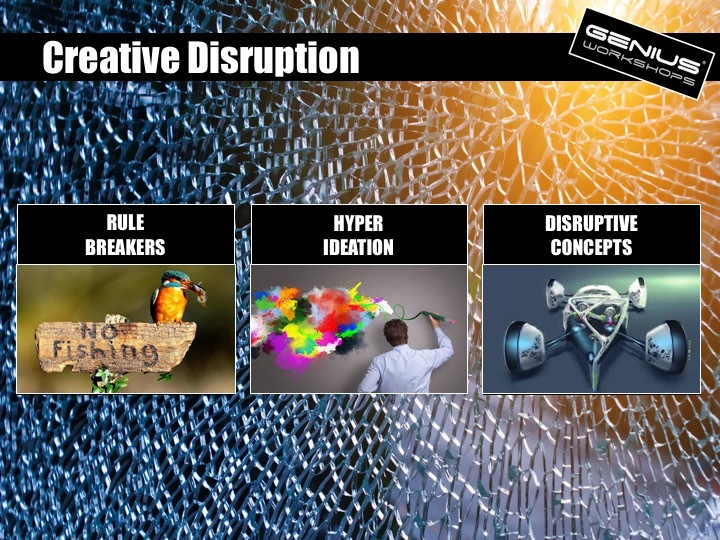 Creative and collaborative … most disruption type activities are centred around emerging technologies and how best to apply them, led by technologist and R&D. Instead we focus on business and brand leaders, using their creative minds to build more ideas and a mindset for disruption. Open up and close down … most creative processes leave you with lots of ideas, but little guidance on what to do next. Instead we have a structured process of stretching further (to generate more, unusual ideas), and then evaluating quickly (to connect the best ideas, and eliminate the others). Ready to make practical … most workshops finish, and thats it. Instead we spend one extra day capturing all the best ideas in the room (typically around 300 past-it notes, and 50-60 flip charts! ), turning them into a disruptive “story”, plus “specifications” of the best ideas to take forwards. What does it takes to engage your business in your big idea, deliver it effectively, and your leadership role in executing that successfully? Turning a great idea into successful results is never easy. The Economist says that 57% of companies fail to implement their strategies. Harvard found that companies typically only deliver 63% of their promised impact. And AMA found that only 3% of leaders think their corganisations are good at execution. Yet market leaders are 35% more likely to prioritise strategy execution over formulation. Both matter, but doing it matters most. Strategy and culture … many strategies are applied to organisations which have culturally and structurally been shaped by the past not the future. Instead we identify how to align the organisation culturally and structurally to deliver the new strategy. Quick wins and progress … the horizon-based approach roadmap, how to progressively deliver the strategy over time, delivering quick wins in the short term, and planning for effective phased implementation with a compelling narrative to support each phase. Driving financial performance … strategy is often an after-thought to justify budgets and financial goals. 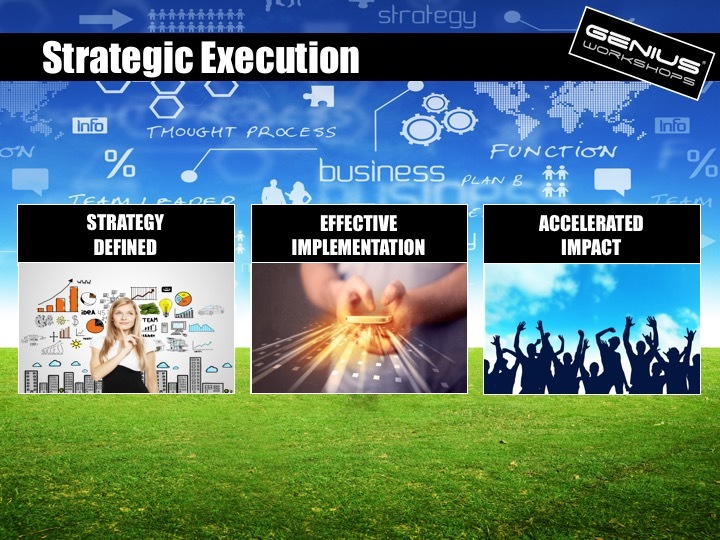 Instead we see strategy as a strategic thinking process, which is then evaluated in terms of practically and financial impact, and then further adjusted to optimise these. Brands are the most powerful platforms to accelerate growth. A great example of this is Ferrari, with its recent $11 billion IPO. Whilst the business certainly has a great heritage, it is not fast cars that investors are interested in. It is the brand. Ferrari only sold 1699 cars last year, generating $600m revenue and $70m profit. Therefore a business valuation 150 times larger than annual profits must have an incredibly powerful asset, that can unlock future growth. In particular the opportunity to shift its meaning from fast cars, to luxury lifestyle. However most business leaders don’t really understand brands, dismissing them as superficial or fixed assets. And most brand marketers don’t focus on the strategic opportunities for brand-centred business growth. 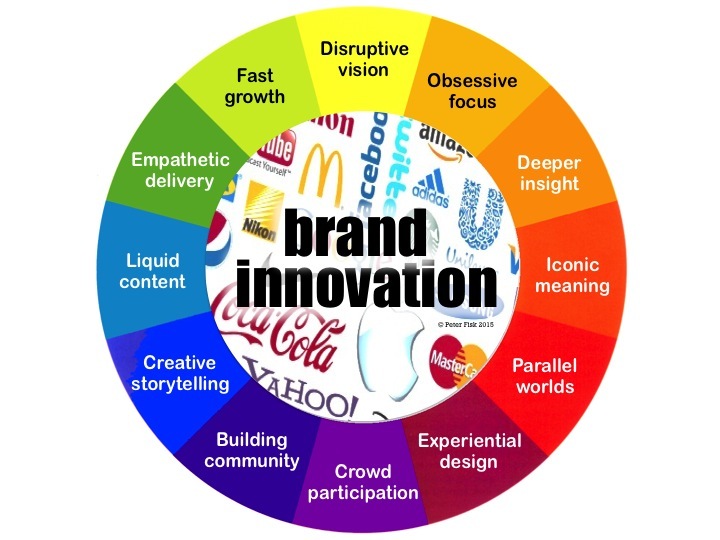 Yet be it the innovation of new products and services around it an existing market, or through brand extensions into adjacent categories and geographies, either directly or through licensing-type models, the brand can take your business further and faster, at less risk and less cost. Brand about you … centuries ago, brands were developed as marks of ownership. In today’s world, the best brands capture the values and aspirations of customers – they’re about me rather than you – about possibilities and aspirations, enabling customers to achieve more. More than an identity … whilst it is obvious, many organisations still resort to branding being about the name, logo and appearance of the organisation or product. We focus on the bigger idea, how this has meaning and substance, delivered visually and practically, connecting business and customer. Living brands … brands are not statistic symbols or statements, they are living evolving concepts, that keep pace or set the pace of markets, through stories and narratives that progress over time, told by business but also by customers, between each other, building reputation over time. Markets are changing rapidly, global and connected, fast and dynamic, convergent and connected. Customers are changing even more rapidly, millennial to boomer, social and mobile, empowered and aspiring. Business is changing in response, start-ups and networks, co-creaters and collaborative, digital and data, fast and agile. The question is how have your marketers, and their marketing changed? Are you keeping pace with this fast changing environment, or hanging on to old models of success – home markets, established brands, hero products, advertising and websites, agency creativity, old channels – and still seeking to build relationships with customers who trust you no more, and are probably not your best customers anyway? Marketing in fast and connected, digital and realtime markets is different. To ensure that marketing builds brands, drives sales and creates value. Building a business around customers seems obvious, yet the shift from product-centric to customer-centric is rarely easy. Most companies still think, organize and operate around products – they define themselves by their products and categories, organized around product-centric profit centres, focused on selling products, and (what they make, to be the best in the category), focused on selling and delivering products, measuring success by the volume of products sold. We help you build a customer-centric business with more inspired purpose, about how it makes people’s lives better. It focuses on the customer’s world (be it a business client seeking to grow, or a consumer seeking to enjoy life). It organizes around the customer experience, one that brings together products and services to solve real problems, and enables people to achieve more. The perceived value of this is much greater, which leads to far great profit potential, as well as ongoing revenues and advocacy. The classic sales focus on building relationships is increasingly under pressure from price, particularly when all the solutions on offer are standard and the same. As markets are shaken up, customers redefine their priorities, and a new order of competitors emerges. There will be winners and losers. Some companies will work harder, whilst others will think smarter. Some will take anything, whilst others refocus their effort. Some will struggle to survive, whilst others will seize the opportunities of change, to sell more, and grow. SMART selling is about solving real problems, helping the client to understand their markets, risks and opportunities, then together developing practical approaches that are real, relevant and more profitable. SMART selling is more engaging, more distinctive and more likely to win you the business. 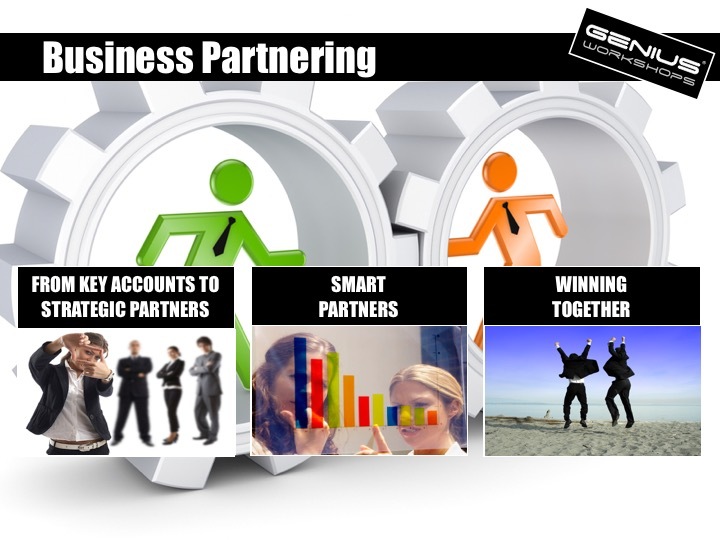 It is about winning together, enabling you and your client to achieve more. B2B Sales, KAM and Strategic Partnering: what’s the difference, how they work? Are you ready to change your world? This is an incredibly inspiring 2 x 2-day workshop for business leaders and shapers. 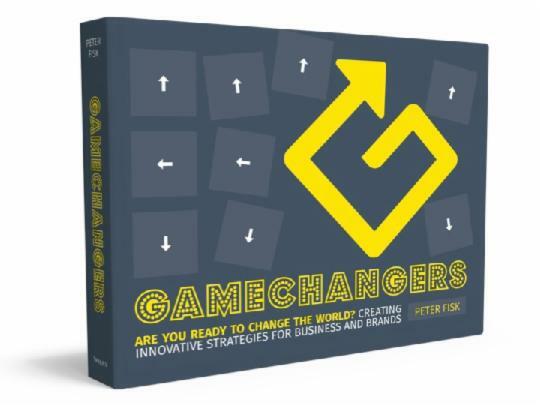 It combines new ideas and insights fro m the world’s most innovative companies, with the best approaches to making sense of changing markets, developing better strategies, then aligning your business to deliver more effectively, with profitable growth. 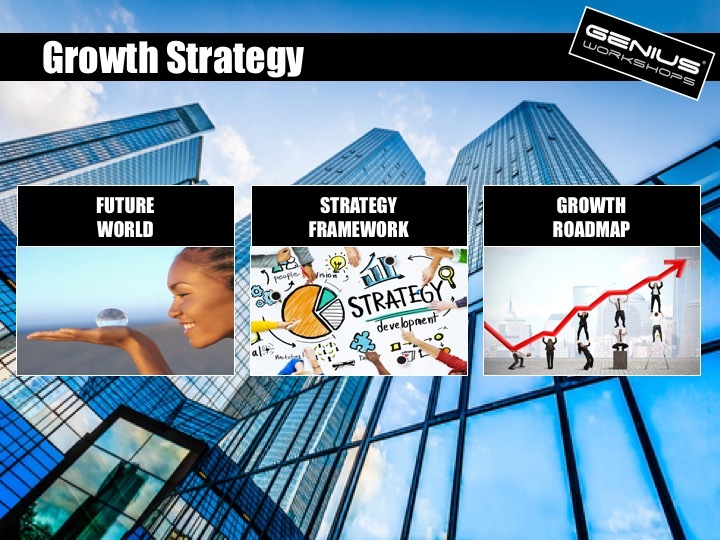 Growth Strategies … Developing a better strategy to shape markets to your advantage, seize the best opportunities, and drive profitable growth in fast-changing times. 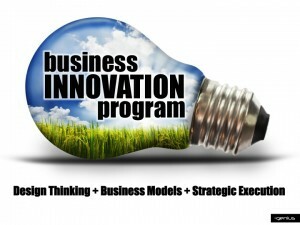 Business Design … Creating more innovative customer propositions, product and service solutions, and new business models for your future business growth. Smarter Innovation … Shaping your business design to deliver new solutions through innovative channels and deliver a winning customer experience in the market. 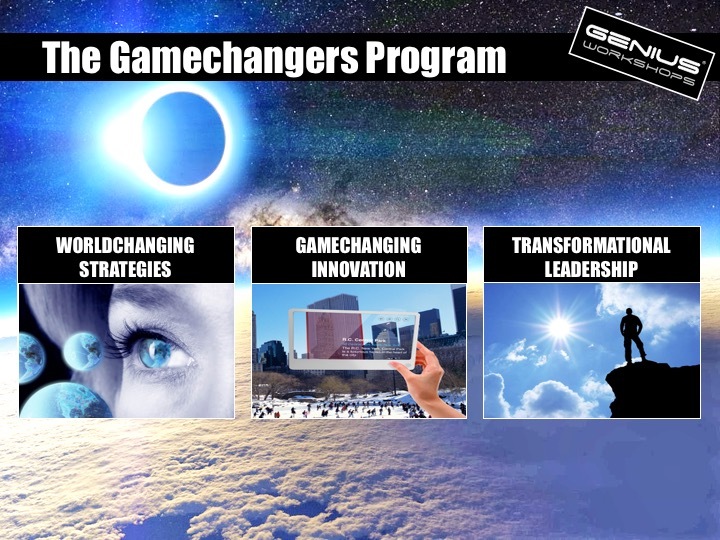 Leading Change … Preparing to implement your new strategy and business model, faster and better, with the leadership skills to engage and inspire change. 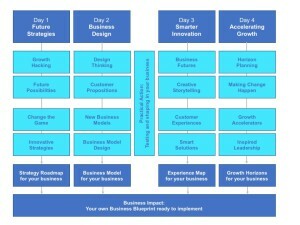 Business Impact (time for you to implement) … You now have developed your personal Business Blueprint ready for implementation. Ongoing coaching and support is also available. 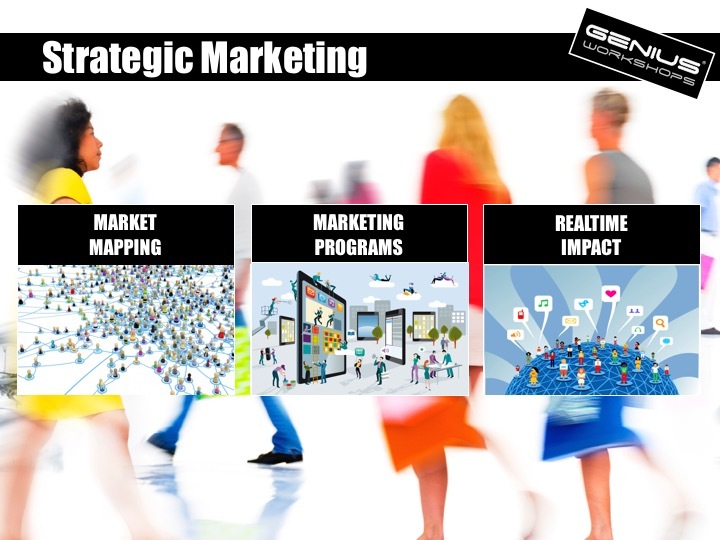 A comprehensive marketing development program to develop the people and tools to win in the new digitally-enabled world of marketing. Marketing is changing rapidly. Markets are more dynamic than ever, globally connected, physical and virtual. The best growth can be anywhere. Customers are more different and discerning too. Gone are the days when you could have a mass market campaign that uses one message to sell one solution to everyone. Nobody is average. And nobody like the bombardment of selling messages anymore. 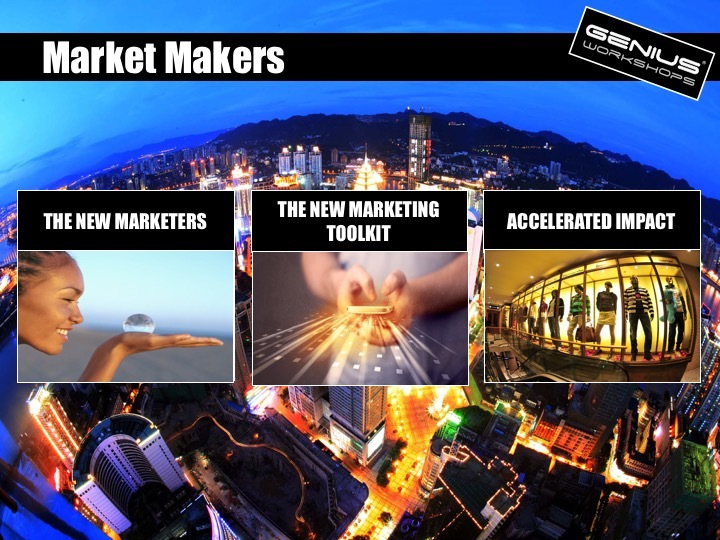 Market Makers is about making markets – the role of marketers in making sense of change, finding the best new opportunities, then shaping markets to your advantage. 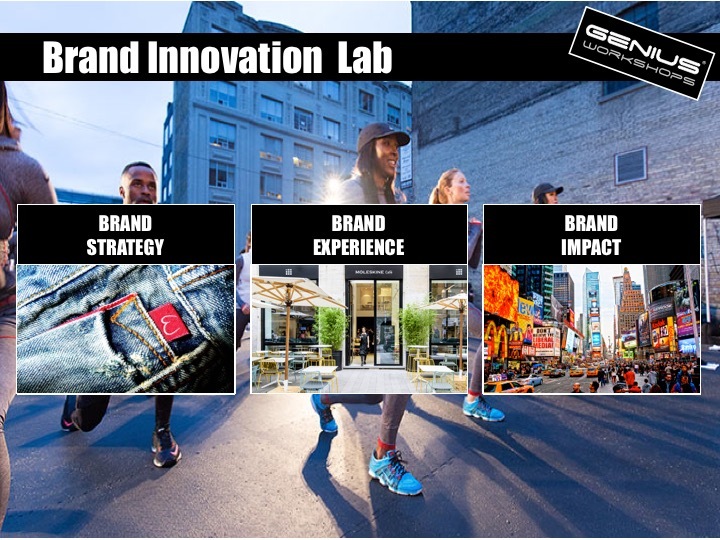 It is about foresight, strategy, brands and innovation. 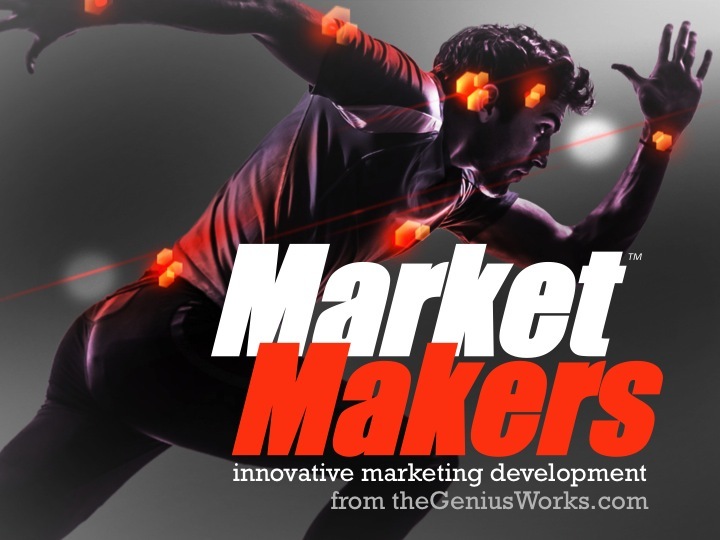 Market Makers is about customers – how to use data, insight and predictive analytics to identify the best customers, engage them individually, build collaborative dialogues, delivering personalised solutions and experiences. 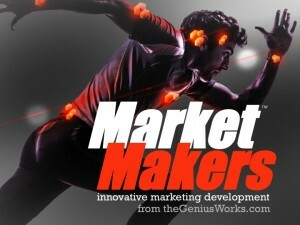 The Market Makers Program is customized to your business. It combines a portfolio of workshops and activities for every level. It starts with business leaders, rethinking their business in changing markets, and building the “airspace” for marketers to innovate. It is then built on a wide range of modules for marketers (market leaders, product managers, brand managers, sales leaders etc) to develop their new thinking, new capabilities and new solutions for their changing world. 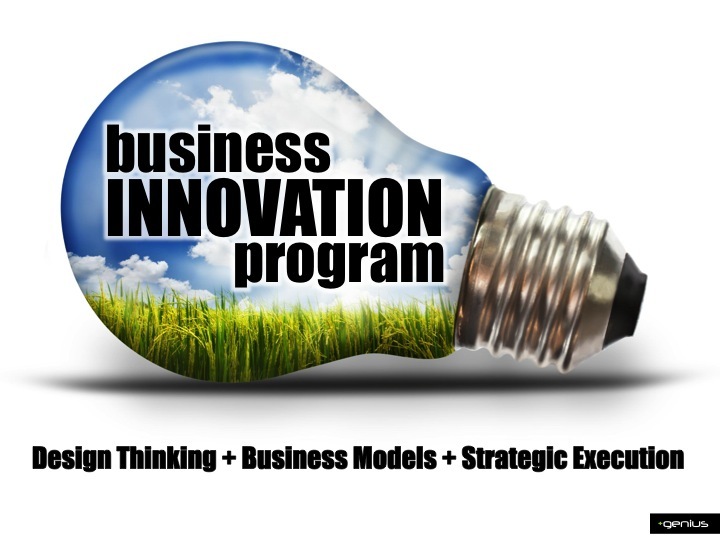 The program combines stimulating learning with practical action, learning from the best companies around the world, big and small, the best new practices and enduring principles, to most effectively win as a business and brand in your markets. Innolab projects then accelerate the best ideas into practical action, whilst also building a marketing community across your business, to continue sharing new ideas and insights, innovations and success. 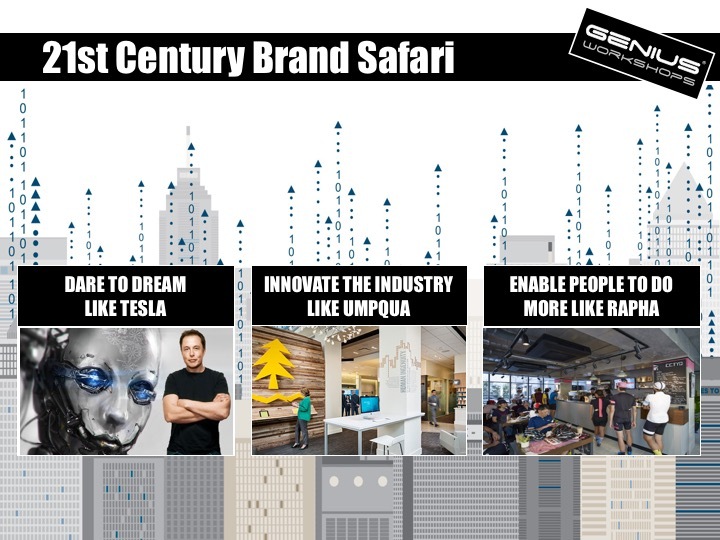 21st Century Brand Safari … Learning from the world’s most innovative brands. Learning from the world’s best brands right now. Peter Fisk is the program director of IE Business School’s flagship executive development program, the new Global Advanced Management Program, over 4 weeks preparing the next generation of business leaders for the C-Suite. Uniquely amongst business schools, it is practically set in the context of a changing world – with incredible opportunities to grow in innovative ways – but also where tensions such as technology vs humanity, global vs local, and business vs consumer are challenging businesses to rethink, reinvent and refocus. We work together to design and deliver the world’s best executive education in the areas of strategy, innovation and marketing. Based in Madrid, IE is ranked the top business school in Europe, and distinguished by its innovative and entrepreneurial approach to learning. We work together to design and deliver customized development programs in strategy, innovation and marketing. It combines the realtime cutting-edge insights of FT, with IE’s approach to education. Blended learning experiences combine digital learning with custom programs in your own location. Over a decade we have collaborated to develop business excellence in the Turkish market, focusing on leadership and strategy, innovation and marketing. This includes designing and chairing Turkey’s largest marketing conference for the last 14 years, and working for many of the leading brands.